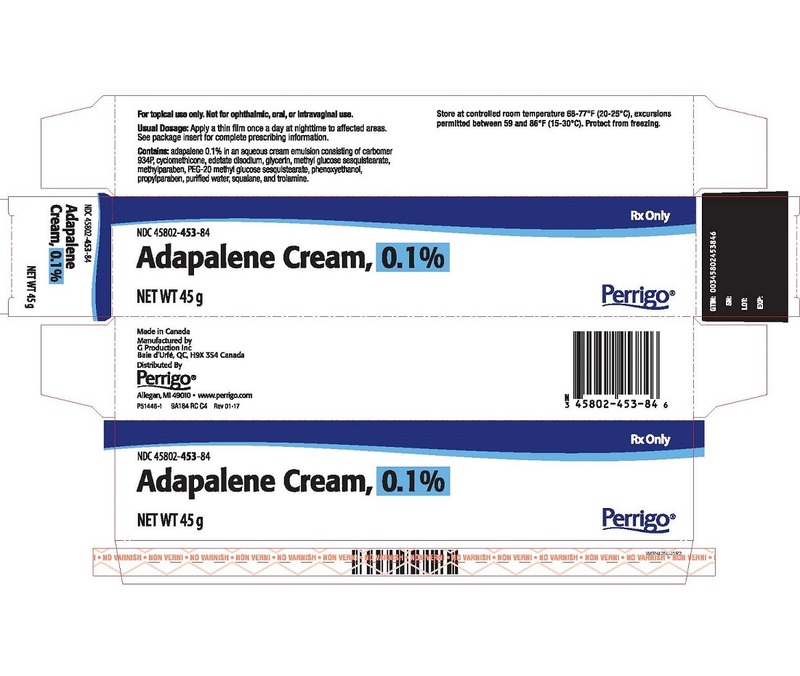 The trend in the Investigatorâ€™s global assessment of severity supported the efficacy of Adapalene Cream, 0.1% when compared to the cream vehicle. Avoid contact with the eyes, lips, angles of the nose, and mucous membranes. The product should not be applied to cuts, abrasions, eczematous or sunburned skin. As with other retinoids, use of â€œwaxingâ€ as a depilatory method should be avoided on skin treated with adapalene. No teratogenic effects were seen in rats at oral doses of 0.15 to 5.0 mg/kg/day adapalene (up to 20 times the MRHD based on mg/m2 comparisons). However, adapalene administered orally at doses of â‰¥ 25 mg/kg, (100 times the MRHD for rats or 200 times MRHD for rabbits) has been shown to be teratogenic. Cutaneous teratology studies in rats and rabbits as doses of 0.6, 2.0, and 6.0 mg/kg/day (24 times MRHD for rats or 48 times the MRHD for rabbits) exhibited on fetotoxicity and only minimal increases in supernumerary ribs in rats. There are no adequate and well-controlled studies in pregnant women. 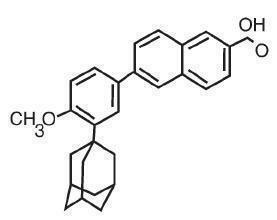 Adapalene should be used during pregnancy only if the potential benefit justifies the potential risk to the fetus. Store at controlled room temperatures 68Ëš to 77ËšF (20Ëš - 25ËšC) with excursions permitted between 59Ëš and 86ËšF (15Ëš - 30ËšC). Usual Dosage: Apply a thin film once a day at nighttime to affected areas. See package insert for complete prescribing information. Contains: adapalene 0.1% in an aqueous cream emulsion consisting of carbomer 934P, cyclomethicone, edetate disodium, glycerin, methyl glucose sesquistearate, methylparaben, PEG-20 methyl glucose sesquistearate, phenoxyethanol, propylparaben, purified water, squalane, and trolamine. Store at controlled room temperature 68-77°F (20-25°C) excursions permitted between 59 and 86°F (15-30°C). Protect from freezing. For lot number and expiration date, see crimp on tube or carton panel.